Dr. Anthony Czahor is a NCCA Certified Strength and Conditioning Coach with extensive post graduate training in Sacro-Occipital Technique, Active Release Treatment, and Torque Release Technique. 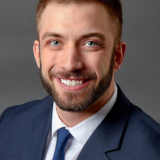 After graduating with both Exercise Science and Human Performance/Fitness Degrees, and with minors in Biology and Psychology, Dr. Czahor went on to complete his degree in Chiropractic Medicine at Palmer College of Chiropractic. Dr. Anthony Czahor stays up to date on cutting edge soft tissue and neurologic treatment techniques. He brings his extensive background in athletics, rehabilitation, nutrition and chiropractic to each patient that he treats.